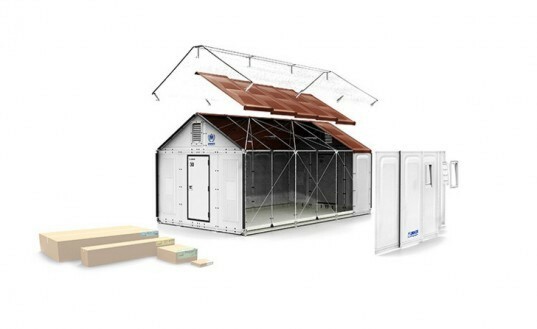 Earlier this year, Scandinavian flat pack furniture masters IKEA unveiled an easily deployable solar-powered shelter that can provide sturdy, safe housing in an emergency. Designed in collaboration with the United Nations High Commission for Refugees, the shelters are ideal for situations such as the ongoing mass displacement of individuals fleeing from the war in Syria. However, as many Syrian refugees enter Lebanon, the Lebanese government has been hesitant to approve the use of the IKEA shelters for fear that they might prove too permanent. Now, after six months of negotiations, the IKEA housing will finally be available to Syrians in Lebanon, but they may not be ready in time to protect many from the harsh winter. 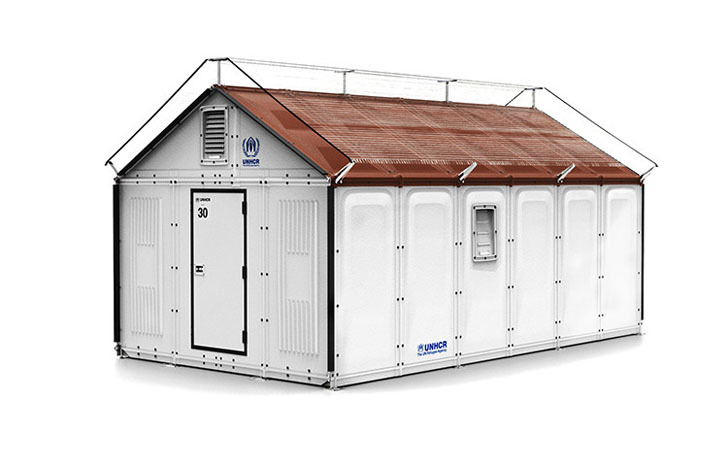 The IKEA Refugee Housing Units are 188 square feet and can safely house up to five people. While that may sound on the small side, it is twice the size of the current standard tents provided to refugees. Additionally, solar paneled roofing provides a safe source of light, removing the need for hazardous kerosene lamps. Reflective paneling on the shelter’s exterior provides insulation to keep the interior cool during the day and warmer at night. The shelters can be constructed in just four hours, and while the tents currently distributed by the UNHCR typically start to disintegrate within six months, IKEA’s shelters can last for up to three years. But that’s where Lebanon began to take issue with proposed deployment of the shelters for Syrian refugees. It is estimated that there are around 125,000 refugees in Lebanon who have not yet been able to find adequate shelter, and the UNHCR has been distributing tarps, blankets and timber to these individuals. Six months ago the UNCHR began lobbying the Lebanese government to be allowed to use the IKEA Refugee Housing Units in the country, but the government resisted, still wary of the strain that a massive influx of refugees can place on already overstretched resources. The idea of a shelter that can be assembled in just four hours, and that will last for three years raised significant concern. Now Lebanon has agreed to a trial run of the shelters, which will provide relief for some Syrian refugees. However, there are concerns that it may be another six months before the shelters arrive in Lebanon—too late to provide adequate protection from the harsh winter that has gripped the region. I need one of these. Homeless in Utah.Please give a USA source so I can apply for USDA funding. I love this idea! Why is not done in communities where homeless have no shelter available to them? Bravo IKEA! Keep on going. Affordable mass housing is only going to come from inovators who create kit housing anyone can safely erect. The middle class and working poor of not just the developing world, but America itself, where you can make a buck hawking them, need housing kits if they aren't all to end up in the endless cycle of working just to pay the rent. Which falls flat of course when you can't work, or can't find it, become unemployably old, etc..
amazing design. thx Ikea for steppin it up. should be marketed worldwide... the need is vast. even here in USA! Is it me or are they re-purposed sheds? Any idea what the unit price is on these shelters? What does the solar power run? The pictures don't seem to show anything but walls.